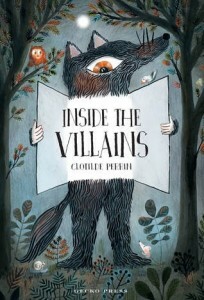 An extraordinary lift-the-flaps book that reveals the secrets of the most famous fairy-tale villains--the giant, the wolf and the witch--with interactive flaps, a twist on well-known tales, and personality cards for each villain. Lift the flaps to see the diabolical thoughts inside the villains' heads, what hides beneath their disguises, or the victims of their last meals (now comfortably settled inside their stomachs! ).